Everywhere I’ve been the last two days they’re playing B.B. King’s music. 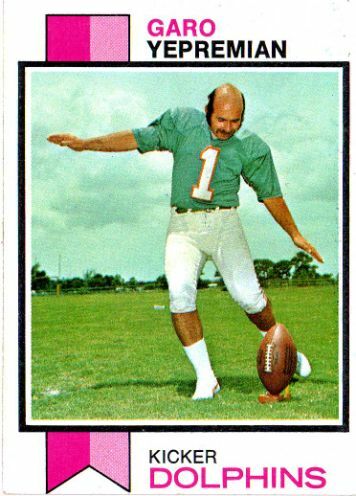 I’m mourning his death too, but there’s another great American I’m mourning right now: one of the NFL’s greatest kickers and my personal childhood hero, Garo Yepremian. Growing up in the 70’s I idolized the one and only Armenian sports star in America. I spent hours after school kicking a football off a tee in the street in front of our house, trying to clear the phone lines. While most of you wanted to be like Mike, I wanted to be like Garo.